The reachability analysis of recursive programs that communicate asynchronously over reliable Fifo channels calls for restrictions to ensure decidability. We extend here a model proposed by La Torre, Madhusudan and Parlato , based on communicating pushdown systems that can dequeue with empty stack only. Our extension adds the dual modality, which allows to dequeue with non-empty stack, and thus models interrupts for working threads. 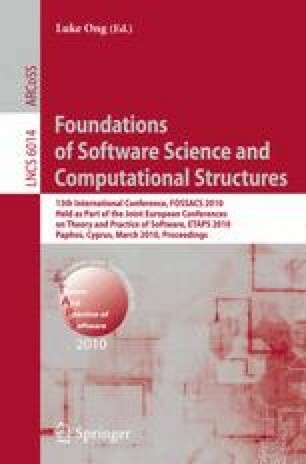 We study (possibly cyclic) network architectures under a semantic assumption on communication that ensures the decidability of reachability for finite state systems. Subsequently, we determine precisely how pushdowns can be added to this setting while preserving the decidability; in the positive case we obtain exponential time as the exact complexity bound of reachability. A second result is a generalization of the doubly exponential time algorithm of  for bounded context analysis to our symmetric queueing policy. We provide here a direct and simpler algorithm.